Our Laser Treatments are raised to a new level; we take into account your needs, no matter what your skin type is. Each Laser Treatment is designed specifically for you. All our treatments are safe, effective, and fast, with no downtime. How Do Laser Hair Removal Work? 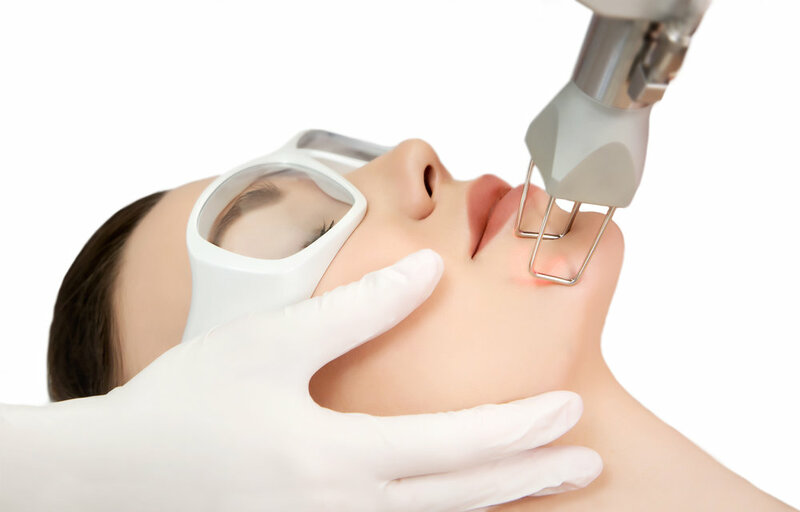 Laser emits an invisible light, which penetrates the skin without damaging it. At the hair follicle, the laser light absorbed by the pigments is converted into heat. This heat will damage the follicle; your hair grows in three stages. Only those hairs in the growth stage will respond to the treatment. In order to disable as many hair follicles as possible. Dermaluxe Laser Spa process includes several treatment sessions. The latest professional research indicates that 6 and up sessions scheduled four/five weeks apart are required for the most effective and complete treatment. This allows us to target hairs in the critical stage to give you the Simply Smooth results you are after. 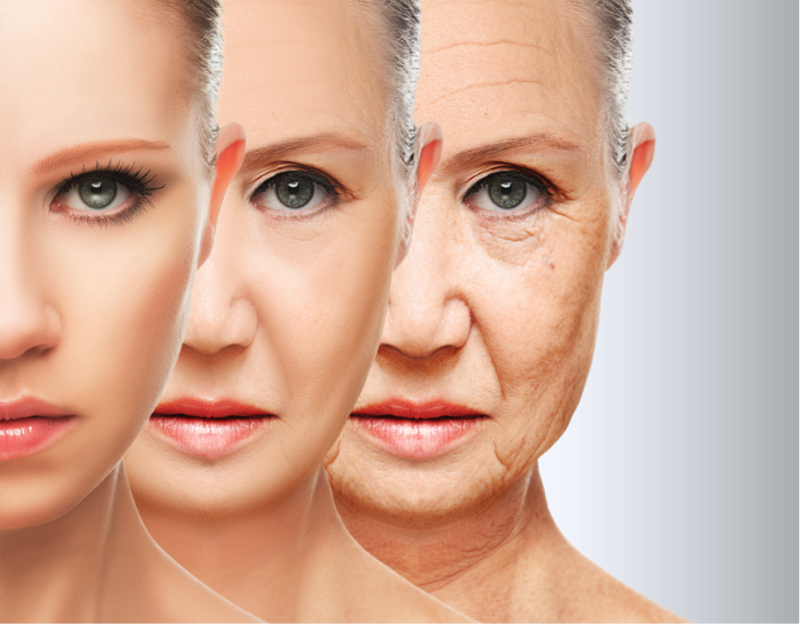 Bring new life to your dull and aging skin. The goal of the treatment is to make your skin more evenly colored, by decreasing the irregular brownish and reddish areas that you have developed as a result of aging and sun damage. These treatments are usually completed in 15 to 30 minutes and there is no need to apply topical anesthetic or gel beforehand. You can realize superior results in just one or two treatment. 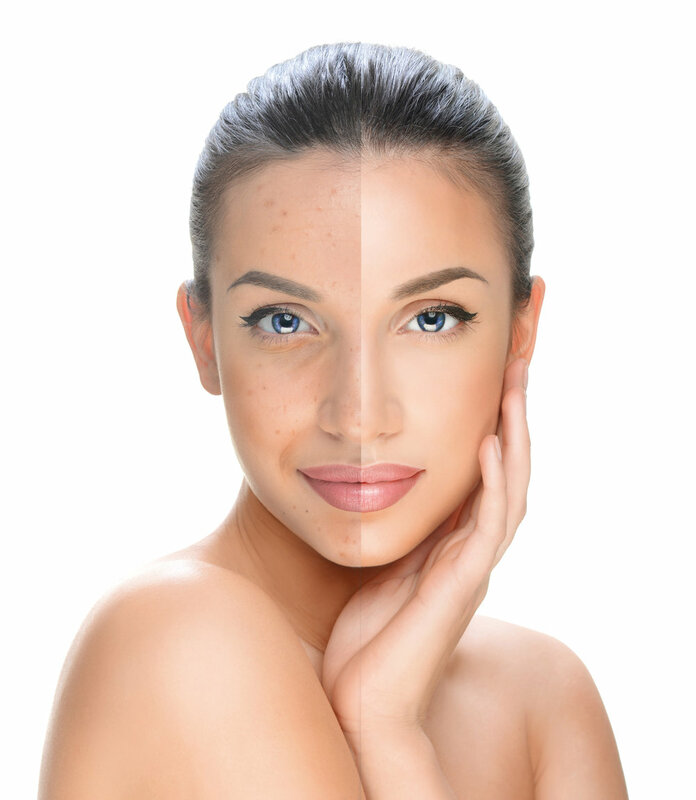 Acne affects people of all ages, our specialist can help you manage and control acne outbreaks with treatments such as: chemical peels, skin extractions, L.E.D. Therapy, microdermabrasion and Laser therapy which is safe and effective. Laser light at certain wavelength improves pores by causing new collagen to grow and by heating up the oil gland debris and it facilitates its natural removal. The results are visible that same day over a series of treatments. These small spider veins are usually caused by the natural aging process of the skin, sun damage, trauma to the site, certain skin disorders such as rosacea or just your skin genetics. Spider veins on the face are most effective treated with lasers, causing no tissue effect or damage to any other elements of the surrounding skin. As the laser heats up the vein is destroyed, then, over a period of 4 to 6 weeks, the vein is reabsorbed by the body and disappears. V-form is a non-invasive, safe, effective device combining the use of radiofrequency (RF) energy, featuring three different radio frequency channels. The major benefits of this multiple radio frequency include superior treatment control, precision targeting, a broader dermal effect and higher energy absorption for optimal results. The V-Form Technology makes all in one solution viable to body and facial contouring, cellulite reduction and skin tightening. RF targets specific layers of the skin to precisely heat the underlying network of collagen and elastin fibers, increasing the metabolic rate of subcutaneous tissue, adding the power of vacuum therapy which maximizes the penetration of energy in the treatment area. Moreover, the vacuum levels offer increased blood flow, enhance lymphatic drainage, and assist in the shrinkage of fat cells volume. Is a non-invasive body contouring treatment for circumferential and cellulite reduction, also helps to reduce stretch marks, and scarring with a visible improvement in skin smoothness, making you look and feel more youthful. Our cellulite treatments are suitable for the thighs, buttocks, love handles and abdomen, As well as under arms and inner tights. DermaLuxe Laser Spa offers an alternative to surgery – a quick, non-intrusive solution that can be completed over a lunch break, for your convenience. Fast and with consistent results, our treatments require absolutely no downtime. Our treatment is the most effective solution on the market for treating sagging skin and local facial and neck fat, lifting your face. Our V-form technology works to thin and tighten your facial skin for the most natural looking results. Suitable for all skin types and with no anesthesia required, Our V-Form technology shrinks fat cell volume, enhances blood circulation throughout the treatment area and much more. Significant results include skin elasticity restoration and a tighter and smoother appearance. This technology gives you the most natural look – with no pain, side effects, or injections.